South Jersey Videographers Serving Clients Across The Country This is a South New Jersey based team of videographers specializing in event and wedding videography, commercials, infomercials, and coverage for corporate, government and educational facilities. This is a video production business located in South New Jersey specializing in event and wedding videography, commercials, infomercials, and coverage for corporate, government and educational facilities. Our videographers and video editors are located in Mays Landing, NJ 08330 but we’ve traveled the country fulfilling the needs of our clients! 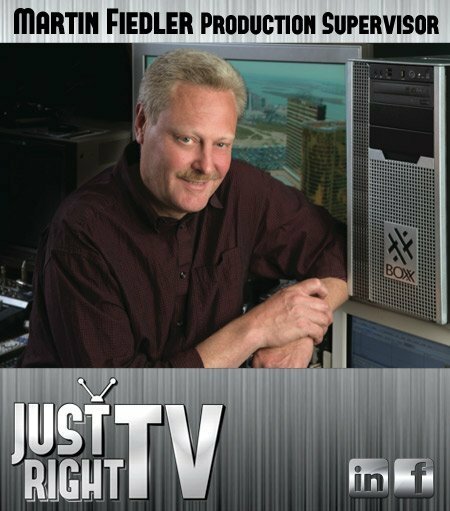 Owner and Production Supervisor Martin Fiedler has for nearly 30 years been immersed in every conceivable aspect of video and television production; from broadcast management, news gathering, technical directing, production and post production, up to an including an FCC license in broadcast engineering. This experience is balanced with equally strong administrative skills… writing, sales, client relations, facility and personnel management, and a strong creative background. The company is now enjoying a second generation of involvement and has grown to 8 total employees, and counting. Connect with us on Facebook and Twitter to keep up to date with our recent endeavors and projects. Visit us on LinkedIn, Google+ and of course check out our work on Vimeo and YouTube. If you have been a satisfied client of ours, we encourage you to fill out a review on Google maps!